This week’s roundup includes a record apprentice intake for Rolls-Royce, Boeing opens its first European manufacturing site in Sheffield, plus could smarter cities pave the way for improved urban living…? 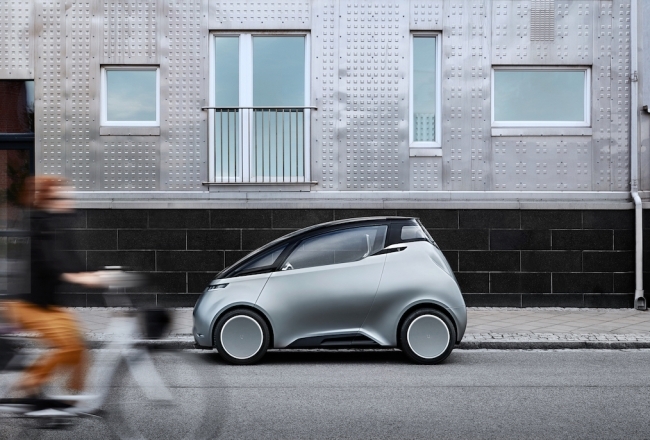 Uniti Sweden has announced plans to establish an electric vehicle “pilot production plant” at Silverstone Park, the home of the British Grand Prix. The facility will be used to produce the Uniti One electric car, while serving as a blueprint for globally licensed “digital” assembly plants throughout the world. The initiative aligns with the UK’s industrial strategy to lead the world in zero emission and autonomous vehicle technologies. Uniti anticipates this Industry 4.0 pilot facility to be operational by 2020. Uniti CEO, Lewis Horne said: “The UK’s approach to vehicle production, with its focus on light-weighting and innovation in advanced materials, is an ideal model for electric car production globally. It’s no secret that some of the world’s best vehicle engineers are clustered around Silverstone. When coupled with a government receptive to our ambition and goals, we couldn’t find a better home to establish our pilot production facility.” To date, the Swedish carmaker has already engaged a team of engineers at an R&D centre in Northamptonshire, while fostering partnerships with local companies such as KW Special Projects (light-weight structure and additive manufacturing), Danecca (EV powertrain), and Unipart (global supply chain). 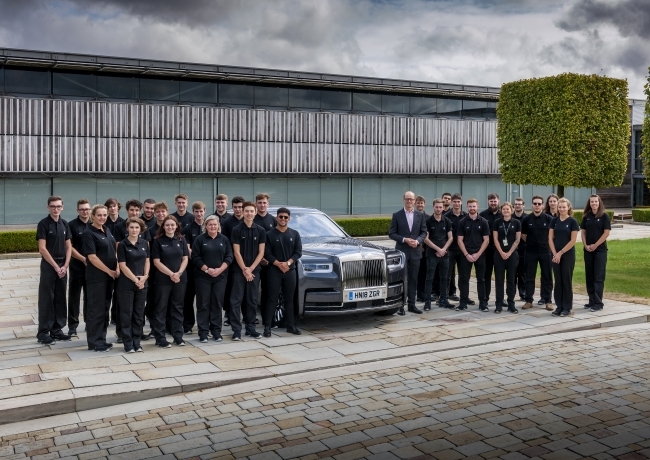 Rolls-Royce Motor Cars has welcomed 23 talented young people onto its apprenticeship programme for 2018 – the largest single intake in the award-winning scheme’s history. The new recruits will spend between two and four years experiencing all aspects of manufacturing at the home of Rolls-Royce. They will spend time in assembly, leathershop, parts quality and total vehicle quality management, learning and developing the skills required to build the best cars in the world. Alongside their practical training, the apprentices will participate in nationally-recognised further and higher education courses. The apprenticeship programme at Rolls-Royce is one of the most prestigious, sought-after and successful of its kind in Britain. Since its launch in 2006, more than 100 candidates have completed this professional and personal journey, going from total beginner to confident, highly-skilled specialist. The vast majority are still with the company, many in senior technical and supervisory roles. As well as taking on a record number of apprentices, Rolls-Royce Motor Cars is providing industrial placements, lasting from six to 12 months, for over 100 university students. The company also runs a highly successful graduate programme, with new positions made available every year. Boeing has welcomed guests from industry, government, partners, suppliers and the local community to celebrate the opening of its new fabrication factory in Sheffield. 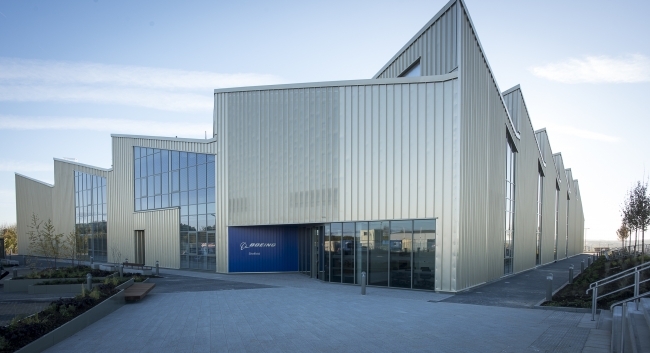 The new factory, the company’s first manufacturing site in Europe, makes actuation system components for the 737 and 767 passenger jets from raw materials sourced in the UK. At full capacity, Boeing Sheffield will produce thousands of parts each month, which will be shipped for assembly in Boeing’s Portland plant in Oregon, United States. Jenette Ramos, Boeing senior vice president of manufacturing, supply chain and operations said: “We appreciate all the community support for Boeing’s new advanced manufacturing factory in the UK. This is a fabulous example of how we are engaging global talent to provide greater value to our customers. In Boeing Sheffield, we are building on longstanding relationships and the region’s manufacturing expertise to enhance our production system and continue to connect, protect, explore and inspire aerospace innovation.” The 6,200-square-metre facility represents a Boeing investment of more than £40 million, placing the world’s largest aerospace company at the heart of Sheffield City Region’s growing Global Innovation Corridor. A total of 52 employees, including experienced mechanics, engineers and more than 20 apprentices, make up the current Boeing Sheffield team. The new World Robotics Report by the International Federation of Robotics shows that a new record high of 381,000 units were shipped globally in 2017 – an increase of 30% compared to the previous year. This means that the annual sales volume of industrial robots increased by 114% over the last five years (2013-2017). In 2017, the sales value increased by 21% to a new peak of US$16.2 billion, compared to 2016. There are five major markets representing 73% of the total sales volume in 2017: China, Japan, South Korea, the United States and Germany. The automotive industry remains the largest adopter of robots globally with a share of 33% of the total supply in 2017 – sales increased by 22%. The electrical/electronics industry has been catching up with the auto industry: sales increased by 33% to a new peak of 121,300 units – accounting for a share of 32% of the total supply in 2017. The rising demand for electronic products and the increasing need for batteries, chips, and displays were driving factors for the boost in sales. 85 robot units per 10,000 employees is the new average of global robot density in the manufacturing industries (up from 74 units in 2016). By regions, the average robot density in Europe is 106 units, in the Americas 91, and in Asia 75 units. From a business perspective, Industry 4.0 supports four major tenets of operational execution: interoperability, information transparency, actionable insights and automation. These tenets, in turn, support several business imperatives, including scalability, customisation, innovation and control and visibility. Manufacturers must do things differently to win market share in today’s environment. 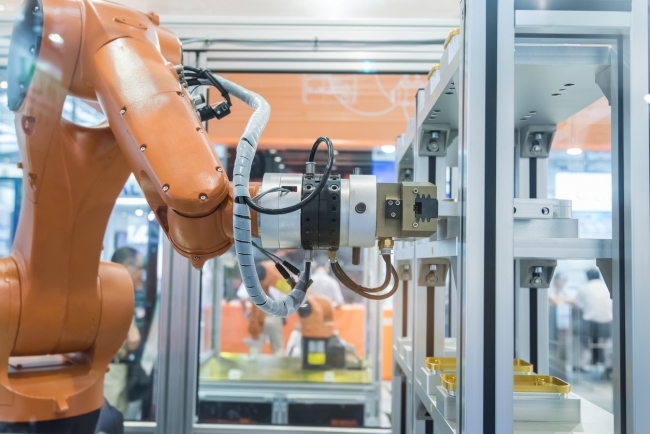 To survive and thrive, manufacturers must focus on growth, and one of the ways manufacturers can achieve this is to leverage Industry 4.0 technologies. In this article, Terri Hiskey from Epicor looks at the opportunities these technologies can offer. Strong sales in Europe and the Middle East have boosted profits at UK footwear firm Dr Martens. Earnings grew 33% to £50m in the year to March, with sales up 20% to £348.6m. The Northamptonshire-based company, most famous for its distinctive boots, said it had seen double-digit growth in revenues and profits in all regions. It started production in Northampton in 1960, and although most of its boots are now made overseas, about 70,000 a year are still made at the UK factory. Dr Martens makes more than half of its revenues from its most recognisable product, the 1460 boot and sister product the 1461 shoe. The company said 40% of its revenues came from selling direct to consumers. Over the year, the company opened 25 new stores, including nine in the UK, giving it a total of 94 owned stores worldwide. In May, the company appointed a new chief executive, Kenny Wilson, whose previous job was at the retro-style homeware and fashion brand, Cath Kidston. A Sheffield graduate has spoken of his pride at launching Boeing’s first European manufacturing site in Sheffield. James Needham, aged 37, said leading the 18-month project was a dream job. But it also came with the responsibility of being the sole supplier of parts to a production line building up to three $100m planes a day. Boeing has invested £40m in a new factory on Sheffield Business Park near Catcliffe. It employs 52 people, including 25 apprentices, and will make 10,000 parts a month at full production next year. Overseeing construction, hiring staff and establishing hi-tech research, design and manufacturing processes had been “my Everest,” he said. “The fact that 147 components on those planes will be made in Sheffield gives me a huge sense of pride. I’m incredibly lucky, I get to do my dream job every day. But the ticket you are buying for next year’s summer holiday is on a plane that doesn’t exist yet. There’s no way there can be delays. There’s nothing wrong with me asking for help from Boeing’s vast support network. But failing to deliver is not an option.” Mr Needham graduated with a degree in materials engineering from Sheffield Hallam University. He spent 12 years working for Sheffield University’s Advanced Manufacturing Research Centre in Waverley before landing the job. Local firms set to supply the factory include Liberty Speciality Steels, alloys and machining firm Maher and tooling companies Metlase and Technicut. The cars on our roads are changing. Every month, 5,000 new electric vehicles hit UK roads, compared to just 500 a month four years ago. Last year, LEVC (London Electric Vehicle Company) opened the UK’s first dedicated electric vehicle factory near Coventry. The company specialises in making electric black cabs, employing 750 staff. But it also plans to build electric vans at the factory, which has the capacity to deliver up to 20,000 vehicles a year. At the 31,000 square metre manufacturing plant in Antsy, BusinessGreen spoke to some of the staff working to put more and more of the company’s already iconic low emission black cabs on the road. The world is urbanising at a tremendous rate. Today, 55% of the world’s population live in urban areas, but by the middle of this century that figure is set to increase to 68%. At the same time, the global population is steadily climbing and is set to reach 9.7 billion by 2050. As these two demographic juggernauts intersect, urban areas will become home to an extra 2.5 billion people over the next thirty years. In January this year, London reached its annual legal air pollution limit after concentrations of nitrogen dioxide exceeded 200 micrograms per cubic metre 18 times in the first month of the year alone. In the US, cities are subject to gridlock so often that the average city commuter spends 41 hours each year stuck in traffic. But smarter cities, powered by networks of sensors feeding back information in real time, could offer a way out of this developmental cul-de-sac. Technology is already being rolled out across the world’s urban areas, making day-to-day city living more pleasant, more efficient and more sustainable. But there’s a flip side to letting technology take over the way our cities are run, with automation opening up systems like traffic, communications and power to hackers and hijackers, making us more vulnerable when outages occur. So with cities creaking under the pressure of growing populations and ageing infrastructure, are connected devices and data the answer? Across the UK, new tech ventures are thriving in major hubs outside of the M25 – and with the squeeze of London’s business and living costs, more look set to follow. According to analysis by the accounting and audit firm RSM, the UK saw a record 10,016 startups launching in 2017. This equals a 59% increase in new companies that specialise in programming or software development. But one of the survey’s most revealing aspects was about the geographical spread of these new businesses. London, where Shoreditch’s Silicon Roundabout has long been considered UK tech’s spiritual centre, saw a 76% increase. But there’s been a surge all over the country: 78% in the North East (to 173); 77% in Scotland (490); and 40% (503) in the South West. The traditional home for UK startups has been the capital. London gathered momentum as a tech hub in 2010 when, in the build-up to the London Olympics, then-prime minister David Cameron announced that the coalition government wanted to join Stratford’s Olympic Park with Shoreditch to recreate a less sun-blessed version of California’s Silicon Valley. Silicon Roundabout was born. Since then, the costs of running a business in London have only increased, and this trend shows no sign of slowing – office rental costs are set to rise by 11.4% over the next three years – so tech startups are increasingly looking for a base outside of London. They are being aided by the establishment of business communities and co-workspaces across the country and the regional tech scene is thriving in Bristol, Cambridge, Manchester, Birmingham and Edinburgh, as explored in this article.